Welcome to Mercy Ebute's Blog: Journalist and blogger Tolu Ogunlesi appointed as Buhari's SA on Digital/New Media. 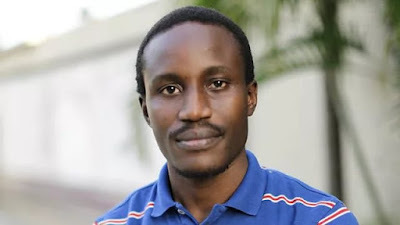 Journalist and blogger Tolu Ogunlesi appointed as Buhari's SA on Digital/New Media. President Muhammadu Buhari Thursday appointed Mr. Tolu Ogunlesi as his Special Assistant on Digital/New Media. Ogunlesi, who is a renowned blogger and journalist, graduated from the University of Ibadan in 2004, and obtained an MA in Creative Writing from University of East Anglia, UK, in 2011. Before his appointment, Ogunlesi had worked as a Features Editor and Editorial Board member of NEXT Newspaper. He also worked as a West Africa Editor for The Africa Report magazine from 2014 to 2015. Ogunlesi is a two-time winner of the CNN Multichoice African Journalism Awards, and a 2015 New Media Fellow of the U.S. State Department's International Visitor Leadership Programme (IVLP). Ogunlesi will be assisted by Bashir Ahmad, who is a Personal Assistant to the President on New Media.